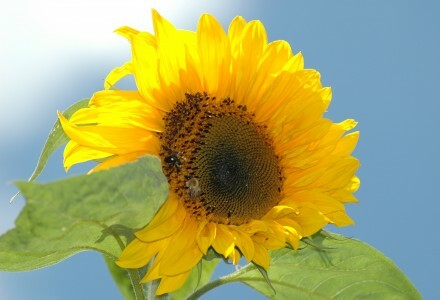 There may not have been a great deal of sunshine this summer, but we did manage one really good sunflower this year. In fact, we only planted one. My son planted it as part of a school biology lesson. It is now about 10 foot tall. The bees have been thoroughly enjoying the enormous flower head whilst the sun shone, however, it won’t be long before we remove and dry the head to save the seeds for the hamsters and the birds during the winter months. We will hold a few seeds back to plant again next year too.